This last week we have seen three pieces of news which were all worthy of note but when taken together offer us an interesting insight into the strategies players need to adopt moving forward. Today is no longer a case of simply having one compelling offer or thinking that you own a slice of the market. Tomorrow will be won by those with broad appeal and that add real value. 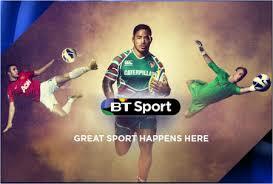 First there is the launch of BT’s digital sports television service. We already have a saturated market in the UK with players such as Sky dominating. Taking on Sky with a straight head to head offer would have been yesterday’s approach, would have probably resulted in a bloody price war and could have been an expensive failure. So BT bid a won some significant rights to live sports including some 30 Premier soccer matches but how would they use these to build their consumer base? The answer is now out, they will effectively give it away on the back of their broadband service. Those that subscribe to their broadband now get free access to live soccer over the internet. This not only captures the heart and minds of soccer fans who up to now have to buy it as a secondary added service but introduces that magic consumer word ‘free’. Consumers can pay an extra subscription to BT and get it delivered onto their TV through a set top box in HD but many will happily watch on their tablets, laptops and even smartphones. BT has not only slapped Sky across the face but it has put pressure on those broadband providers that have been eating away at their business. The move reinforces BT broadband services and is a smart move. Second we have the news / rumours that Microsoft (MS) are about to splash out $1billion to fully acquire Barnes and Noble’s Nook digital world. The hardware is already being phased out and discounted and the partnership / joint venture that offered so much is now being taken over by the Seattle giant. This would bring MS into the media battles again. Remember Zune that music competitor to the iPod, or their latest damp squib Surface, the tablet that choose the wrong operating system – again. Microsoft has a track record of getting things wrong and playing catch-up. However when they do acquire a readymade solution such as SKYPE they can screw up over engineering something that didn’t need the attention. Try accessing Skype today on Windows 8, through a browser or on an Android smartphone and you would think you were connecting with three different applications. So what will Microsoft do with Nook? Maybe they will focus on education, but exactly what will it give them? Perhaps they believe that they can take on Amazon but do they really understand media or just bits and bytes? It’s a great financial exit for Barnes and Noble but what’s in it for the consumer? Thirdly we have the rumours that Amazon is planning to launch its own smartphone. We often ask what is amazon. Is it a media retailer, a publisher, a one stop shop, a marketplace, a technology company? The answer is probably all the above but primarily it’s a community hub that attracts many through not one but many offers and its quality service. So why a smartphone? Well it’s an obvious extension of its hardware offer and remember when Apple went into the phone business we asked the same of that move. Unlike Apple it doesn’t need to plough its own furrow and can piggy back on a wealth of technology already out there. Maybe like BT it sees a way of being able to offer primary services with added value additional service that effectively lock in consumers. Tomorrow is not about the best device, the best product offer, the cheapest price, the widest range, the fastest connection. It is about the best holistic offer that adds real value and is built around a primary driver. HTML5 To Be Put Under DRM?